Today is National Puzzle Day! It’s a day for us to exercise our brains with puzzles, riddles and more. What begins with T ends with T and has T in it? Comment below and tell us how many you got right. If you know any more tricky and fun riddles, share them in the comment section below. 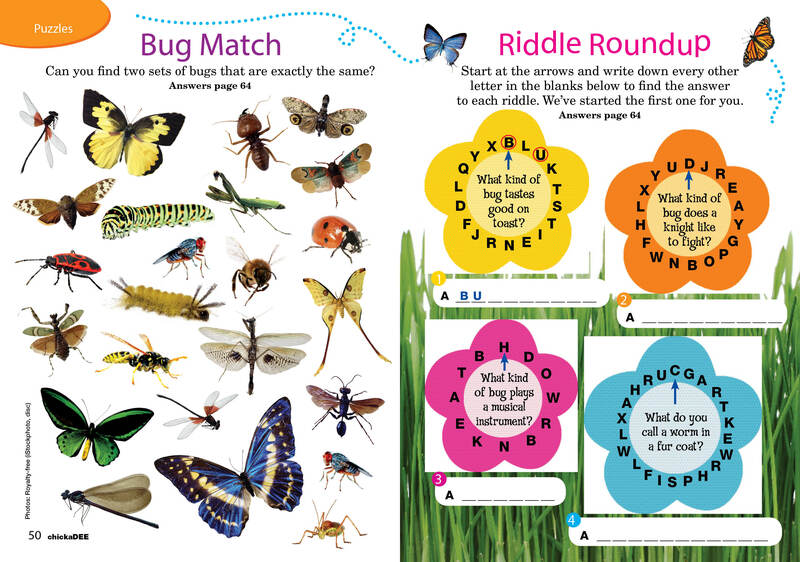 Get Buggy for International Puzzle Day! Today is international puzzle day. I have to say, I was very happy when I found out this day existed! 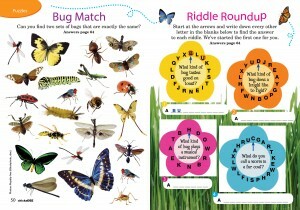 Not only do I love writing puzzles for chickaDEE, I love doing them! Here’s a puzzle from the 2007 chickaDEE Summer Digest. Not only is it fun, it’s also a nice reminder that spring isn’t far away! Just click on the image to make it bigger.